Music & Guitar Professor and Performer. He holds a Bachelor of Music degree awarded with "Meritorious” distinction for his bachelor thesis and exam, attending on a scholarship supplied by the Ministry of Culture of Colombia. He also attended an Advanced Course in Guitar Performance at the Escola Luthier D’Arts Musicals, in Barcelona, Spain, as Honorary Fellow of the ICETEX. 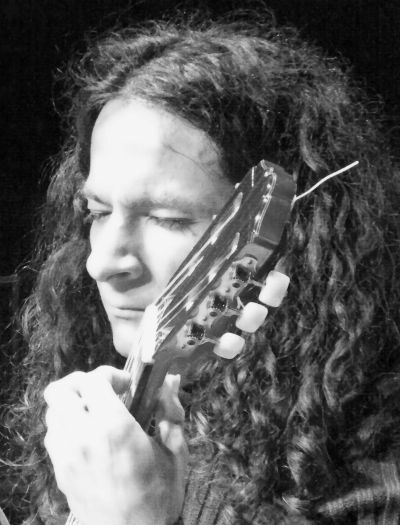 Having received national and international music and guitar specific awards as a performer, arranger and composer; he has been honored to perform in concert halls, cultural centers, and festivals of guitar and music throughout Colombia, as well as in Canada, Chile, Spain, United States, France, Guatemala, Peru and Switzerland. His experience includes having served as a director, coordinator, teacher, former and a conductor of musical and guitar in several plans, programs and projects of differents institutions in a various educational settings, including at university, technical college, elementary, middle, high and complementary school levels in Colombia. He also has conducted music and performance workshops in elementary and high schools in the United States.